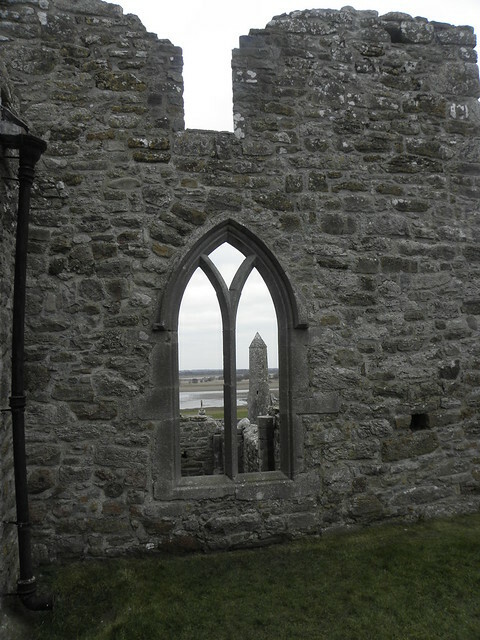 I was in Galway last week and visited Athenry and Clonmacnoise on the way home. 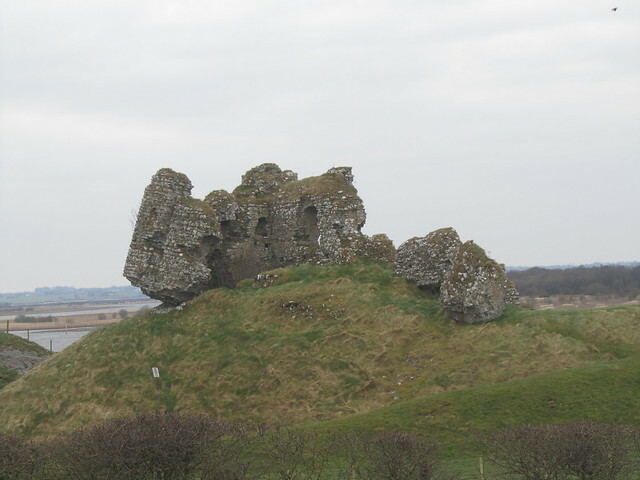 Here are a few photos of both places, neither of which I had ever visited before. 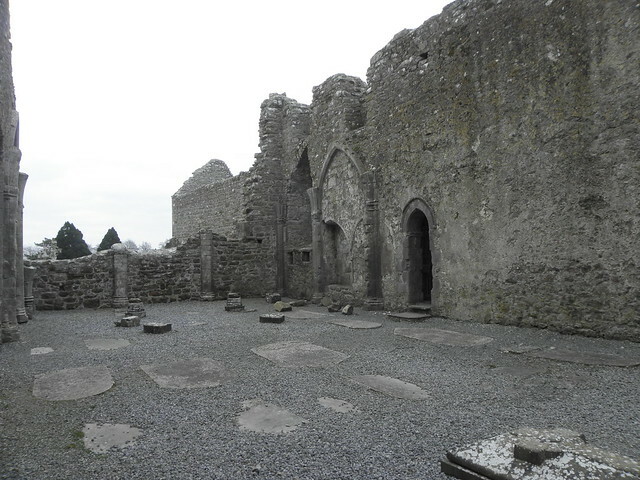 Firstly is a selection from Athenry which is apparently Ireland's best preserved medieval town. 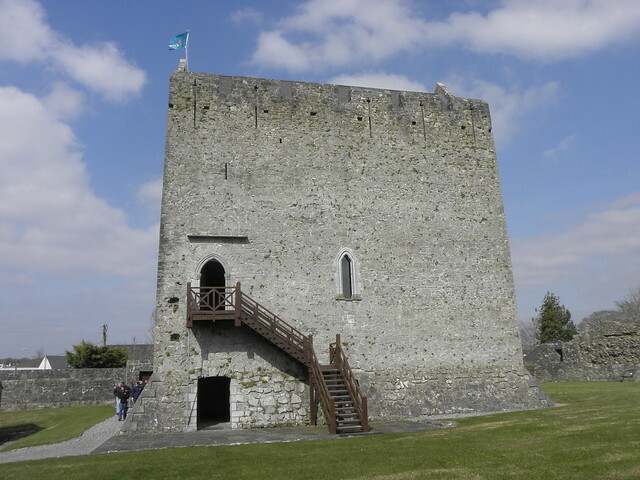 Exterior of Athenry Castle and Heritage Centre. 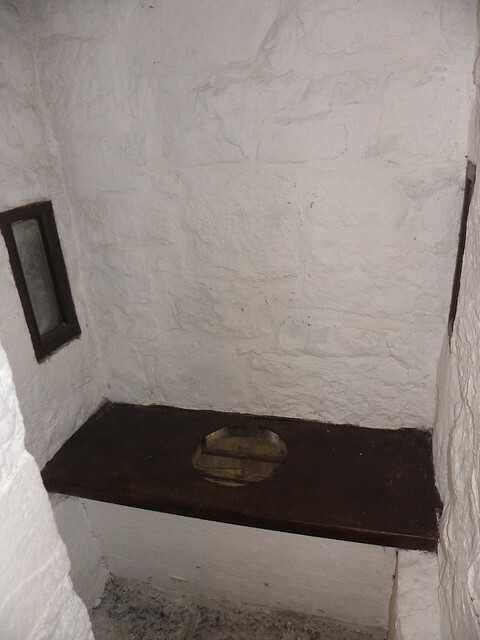 The Garderobe, as it was then called. 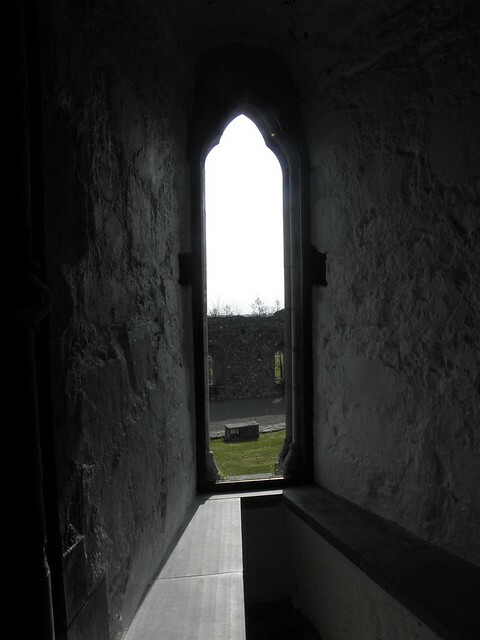 The view of the long drop from the Garderobe. The wildlife came to say goodbye. Last edited by Jemser on Tue Nov 03, 2015 3:07 pm, edited 2 times in total. This is a great idea to group your photos. I am often going through loads of topics to find a photo I remember. 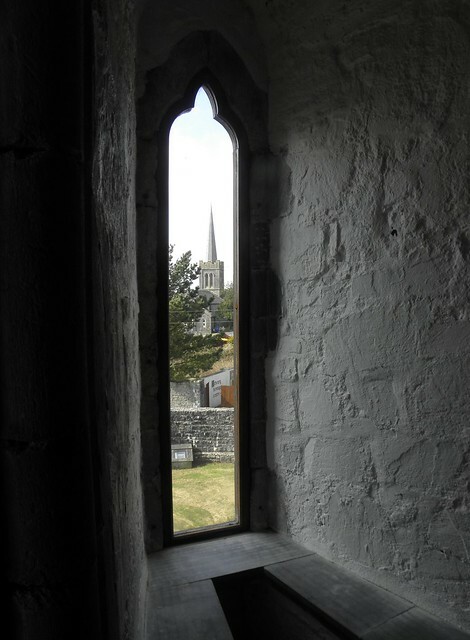 Lovely shots of Athenry. I've been to most railway towns over the years but, never had a camera so I can revel in your photos. My pal retired to Athenry a few years ago and they just love it. They would never come back to Dublin. 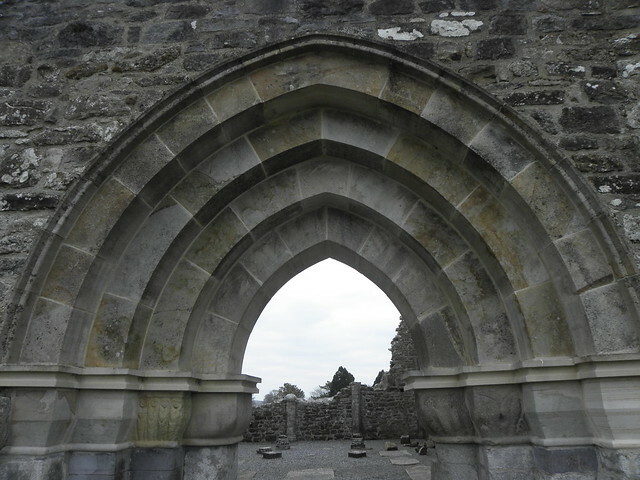 Here are some photos of St. Ciarán's Monastery Clonmacnoise. Last edited by Jemser on Wed Nov 04, 2015 9:50 am, edited 2 times in total. Great photo's Jemser, love the Robin and that last one is fab, well done. 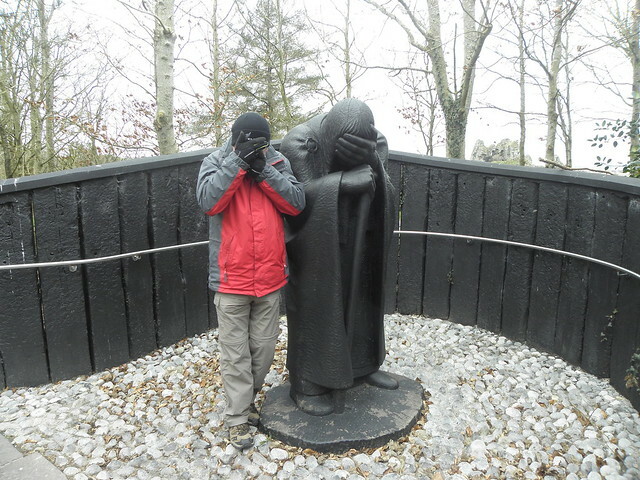 It was so cold down there last week that myself and the Abbot had to shield our eyes from the wind and cold. 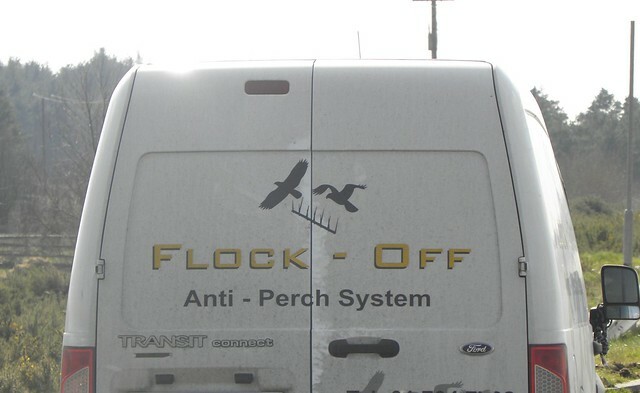 Finally if you want to get rid of unwanted neighbours or pests or anything of your choice I suggest these guys. Last edited by Jemser on Wed Nov 04, 2015 10:06 am, edited 3 times in total. love the very last one. Fantastic record of photos Jem. I'm amazed some of the Crosses are in such good condition after all these years. Nice ones! 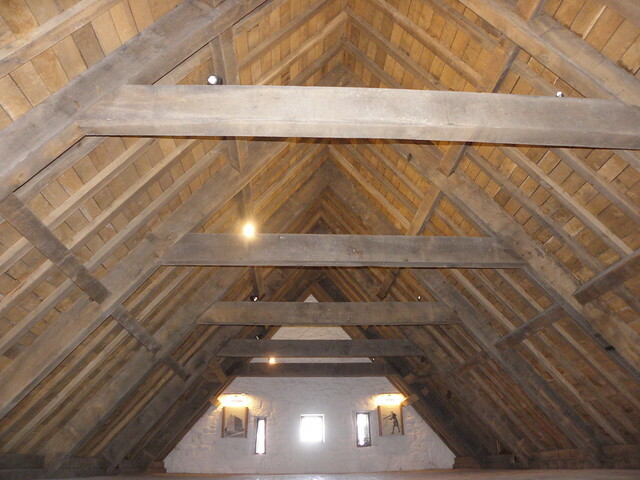 Both places look spotless and very well kept. 2 questions - exactly how close were you to the Robin and what is the guy in the statue hiding his face for? You look well wrapped up for the cold. Looking at all these photos makes me realise that I am crap at composition. Fabulous photos. You could make postcards of them. 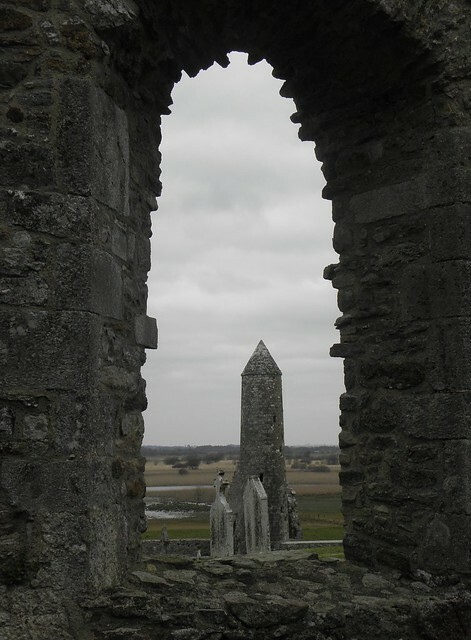 Could I ask who ever might look at these photos of Clonmacnoise to say a prayer for a gentle priest Fr Paddy kenny. 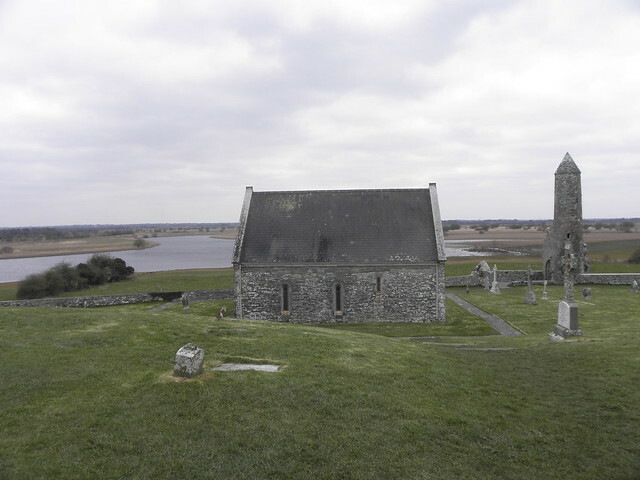 When he retired he opened a prayer house at Clonmacnoise and remained there till his death R.I.P Fr Paddy. My late brother married into his family and I had the pleasure over the years to meet him at all the births, marriages and deaths. A quiet inspirational man who hailed from Ballinasloe. 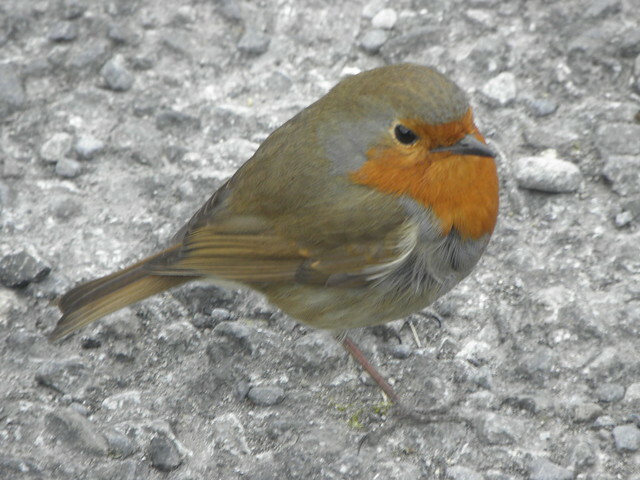 Navanman, the robin was about six feet away, I was standing in the carpark, zoomed in, took the photo, it was early so I hadn't any drink taken, it helps with the steady hand.The robins were very cheeky, one even hopped into the car looking for food I presume. On the statue covering his face, apparently there was a pilgrim road across the country from East to West as early as 606 AD. 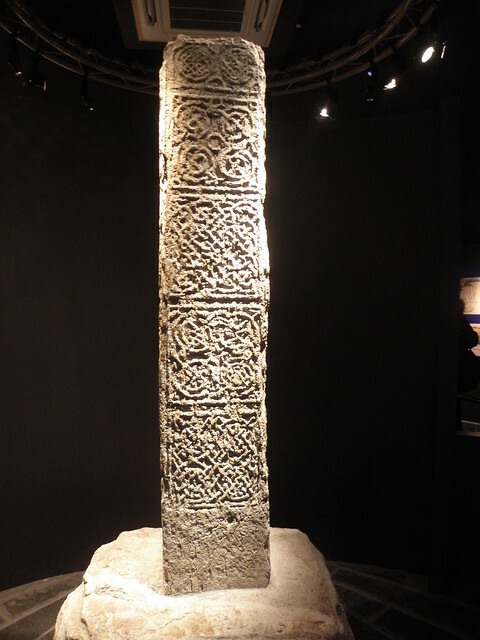 Named the Sli Mhor or Esker Riada, possibly the earliest in Europe. Apparently a lot of pilgrims either died of natural causes or encountered grave dangers from thieves and vagabonds while trying to complete their pilgrimage. This statue depicts a pilgrim shielding himself from the dangers, at least that is what I was told. Lovely photos Jemser . 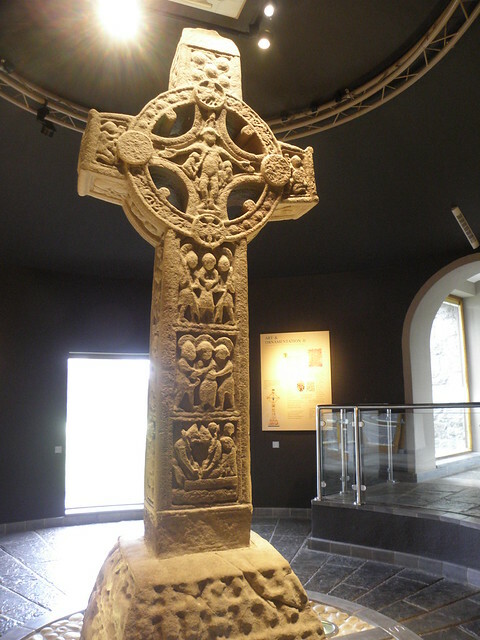 I like the cross with the light shining on it best. Thanks for sharing Jemser, they are great pictures. 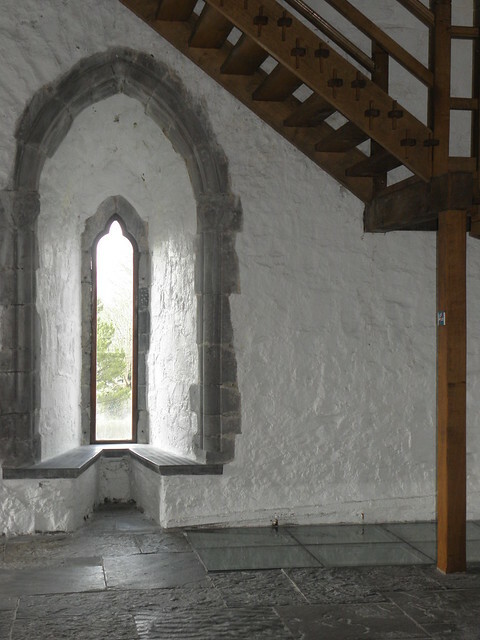 Great photos Jemser, my favourite is the round tower through the arch. 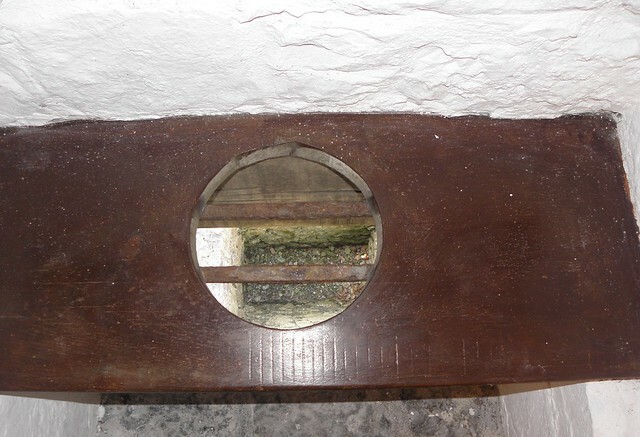 These photos are a response to Holla's post about Booterstown church and the signs outside it. These two were sent to me by my son, this is a church very close to his house. But a lot of churches in the South of the USA have these signs outside them and i have taken shots of them over the years. I have them in a folder on another computer and I'll hunt them out and post more later. For anyone who is not familiar with "Dairy Queen" one of the things they sell is ice cream, clever play on words. Last edited by Jemser on Wed May 08, 2013 7:55 am, edited 2 times in total. cool signs Jem. Ye gotta love Americans. A few more church signs from the deep south of the USA. Finally this shot is just to show some of the colours during the autumn time in the Smoky Mountains, or as the Americans say "Fall colors". Those church slogans are great. About 30 years ago we were in Florida and went into a real "ethnic" area. Well,.. the singing , cheering, hugging and sermons left us speechless. Can you imagine coming from a tight lipped little sermon in Blackrock church to the full "God will save you sinner" medley...we nearly expired.... They were amused at the two little white open mouthed yokels! who really had wandered over the line in those days. Here are some photos of my recent visit to Glasnevin Cemetery. Round Tower just inside the gate. Grave of C.S. parnell, the uncrowned King of ireland. Arthur Griffits grave, the broken column signifies a life that was cut short. The original gate to the cemetery and the grave (on the left hand side of the gate as you look at the photo) of the first person buried in Glasnevin. The De Valera plot in Glasnevin. The grave of O'Donovan Rossa, with the words of Padraig Pearse on the bottom of the gravestone. A few more to follow later. 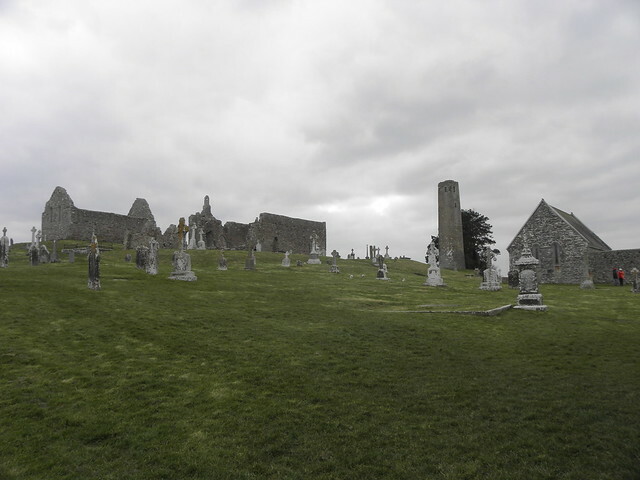 Thanks for posting the pictures Jemser - the graveyard looks so well kept. 1. What is the big round tower for? 2. Why the big plot for CS Parnell? 3. How big is the graveyard? 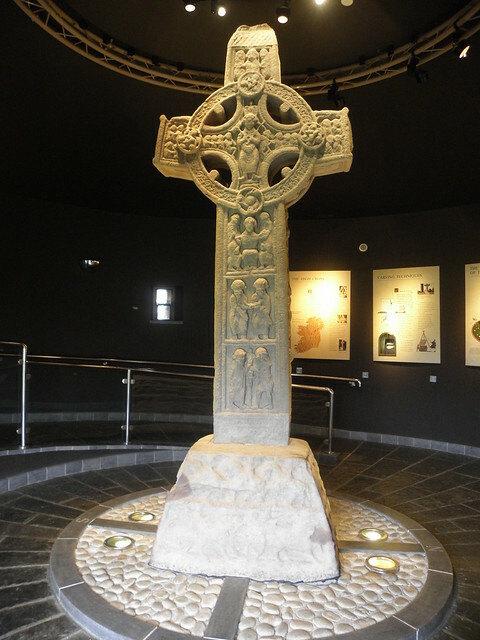 Jemser wrote: Here are some photos of my recent visit to Glasnevin Cemetery. 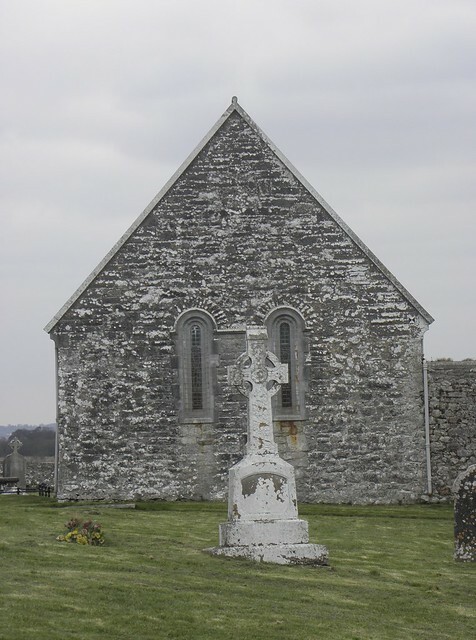 The above photo shows Saint Michael in the foreground, standing guard over the grave of Michael Meade, of building and construction fame. 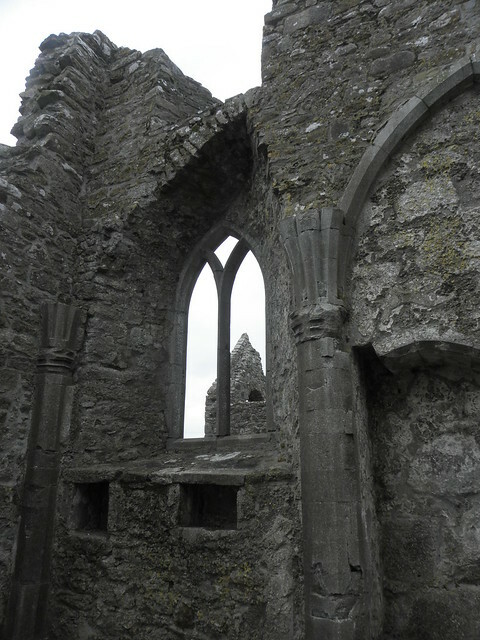 Also built many catholic churches including Monkstown, Glasthule, and Donnybrook. Navanman, the big Round Tower was built to commemorate Daniel O'Connel "The Liberator" and at 171 feet high is the tallest round tower in the land. As you know C.S. Parnell was known as "rhe uncrowned King of Ireland" and some consider him the greatest Irishman who ever lived. His funeral is reputed to be the biggest Ireland has ever seen, with at lest 250,000 people attending. I think the large grave with the simple Wicklow granite headstone with his surname on it is a fitting monument to this great Irishman. I was told that the graveyard is 120 acres in area with 1.5 million people interred there. Hope this answers your questions. Gulliver, thanks for the information on Michael Meade. I do know St. Michaels School and if I am not mistaken it is the Alma Mater of our local and Parliamentary representative, Mr. Richard Boyd Barret. Quite an upmarket educational institute for a People Before Profit representative.